An All Progressives Congress (APC) candidate for Ethiope West Constituency at the state house of assembly. Who was at the centre of a serious scandal capable of thwarting his political aspiration has been picked up by DSS due to his lackadaisical attitude. 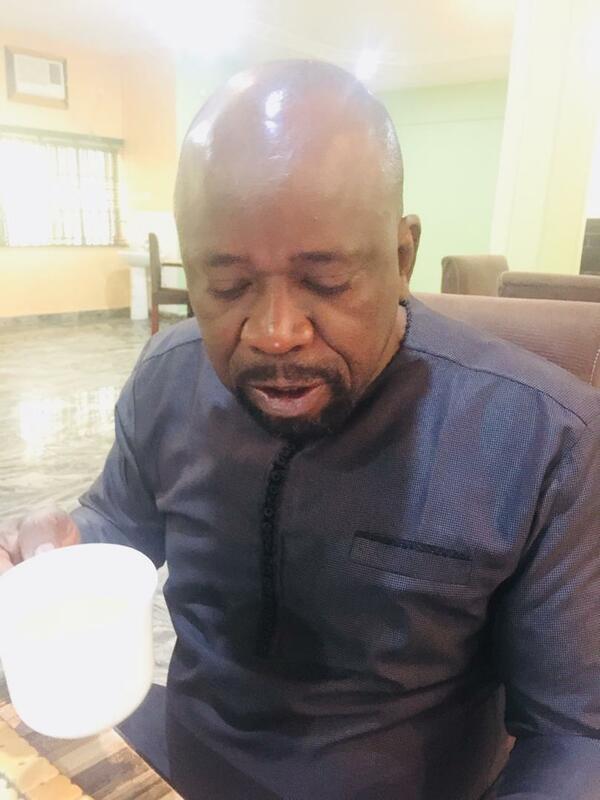 Remember this medium published that his accusers said he lives a wayward lifestyle which allegedly affected his romantic union and has resulted to a messy divorce battle with his ex-wife, Omote Makelem. Also, he was linked to a plot to kidnap and assault a Lagos based business woman, which is now a matter of litigation. And going by the contents of the petition, the source revealed that Hope Abijor’s political journey might be negative affected unless he wins the war. A petition was written to Adams Oshiomole, the APC national chairman. Abijor sometime in 2015 started a romantic relationship with the businesswoman offering her a promise of marriage but failed to honour his words. Further in the petition, the woman allegedly introduced Abijor to a couple of powerful men in the corridors of power, an opportunity he allegedly exploited to step up his political game. However, trouble started between them in 2017 and both parties parted. In the heat of the crisis, the Delta politician reportedly demanded back all he had done for the woman and allegedly threatened her with the aid of police at Area J command, Ajah, Lagos, while he also reportedly engaged the service of the DSS against her. Just yesterday we gather from a reliable source that Hon. Hope Abijor has been picked up by DSS and he is presently in there custody. Government promises to bring down local rice price. OGD @ 60, A Well Celebrated Life – View Pictures. Falae Reveals Why Fulani Herdsmen Are After Him.